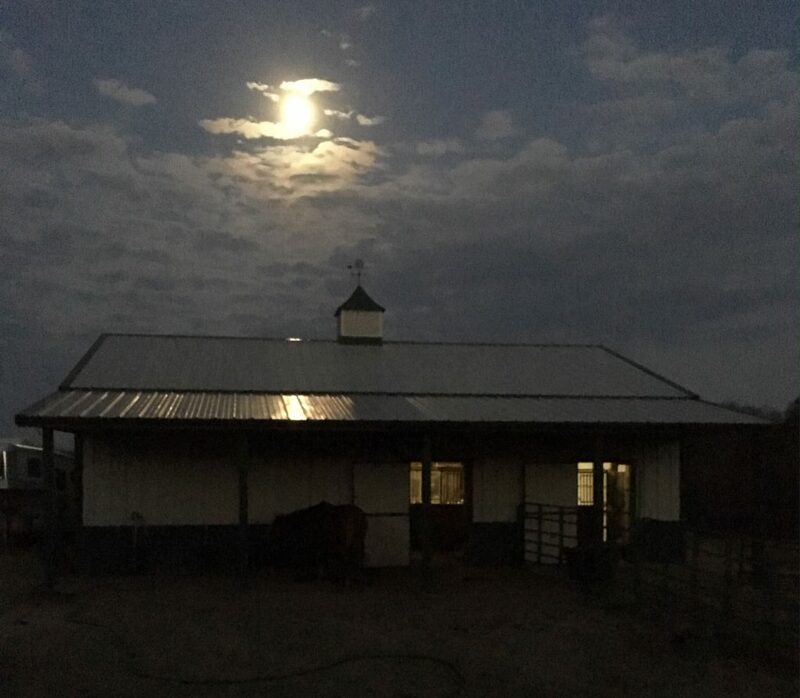 A well thought out barn reduces stress on you and your horses. One of the things we have learned about owning several horse facilities is that taking the time to plan out the design of your facility will save you time, maintenance and will help you be happier with your stable. For example, if you plan ahead when building your barn by placing it on high ground (or at least building up your area where your barn is if your property is flat), you can save yourself a lot of heartache and a messy cleanup from a flood in an usually wet season. Many people are great at designing their dream barn, but don’t stop to think about the mundane things like developing an easy system to remove manure. If you have one horse it’s not a big deal, but when you start to have four, five, six or more horses, having a maintenance plan is critical. We have owned a number of stables over the years and visited countless others. We started collecting good ideas and putting them into articles so others could benefit from lessons learned. This section of the site features articles to stimulate your thinking when you are building your new facility (or revamping your current one). I’ve learned the hard way that you have to put a lot of thought upfront into building a barn. There is an art to picking the best site and designing the layout right from the start so that it reduces your maintenance requirements. Learn from our mistakes! These articles have great tips on things you want to consider when building your barn. This section of the site is one we love so we will be expanding it and adding new content. Please check back with us and let us know if there are certain subjects you would like us to cover. Meanwhile, happy trails!